“Living the Sweet Life with Diabetes”- The Art of balancing insulin, diet and exercise. 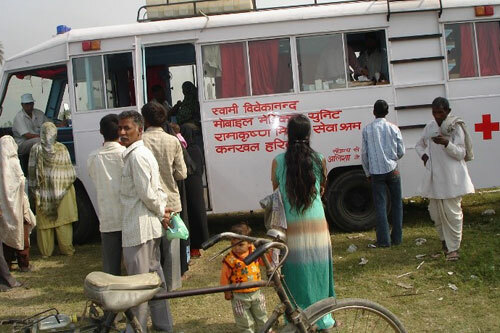 Service to Humanity - was founded in 2006. It is a not for profit organization registered in USA. 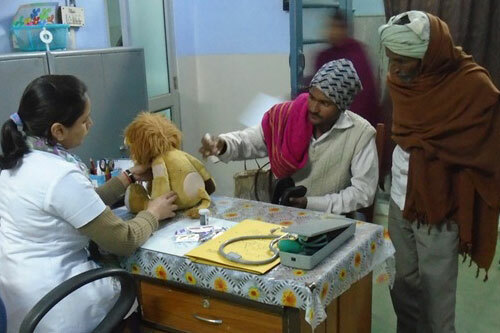 Its mission is to provide diabetes care to marginalized people in Northern India. 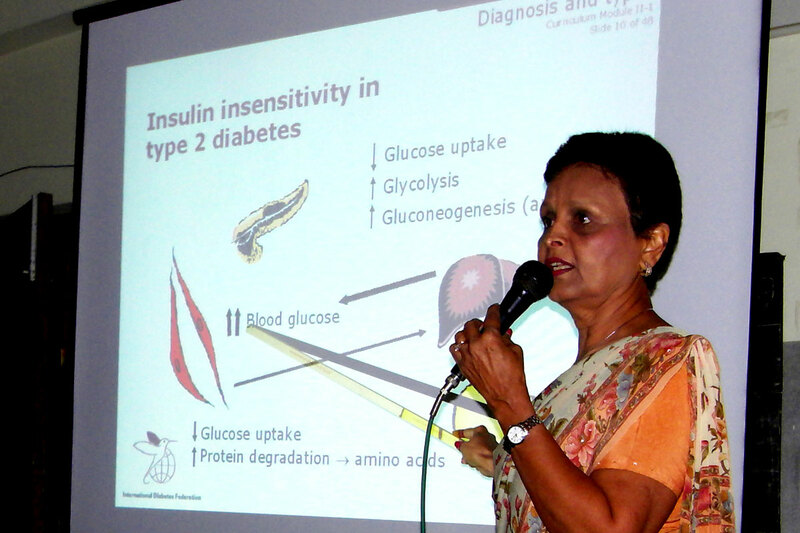 Diabetes occur when the body cannot produce enough of the hormone insulin or cannot use insulin effectively. Blood glucose levels change after meals and after physical activity or stress, therefore insulin must be taken multiple times a day to match the changes in blood glucose levels. This method is called Multiple Dose Insulin injections (MDI). In MDI we use one long acting insulin (e.g. Glargine) at night, and a short acting insulin 3-4 times before meals during the day. There is a formula to calculate the insulin dosage based on blood glucose levels, carbohydrate (CHO) count in the diet, activity level, and other factors. 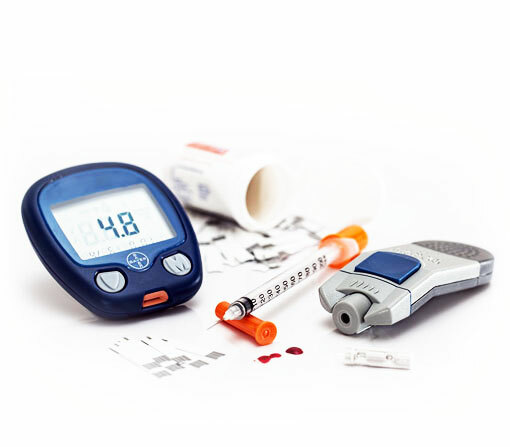 Training of this is called Diabetes Self-Management Education (DSME) provided by a certified Diabetes Educator which empowers both patients and their families with knowledge on how to manage insulin dosage. It is estimated that in 2017 there were 70 million people with diabetes in India, out of which 124,000 have Type 1 Diabetes. 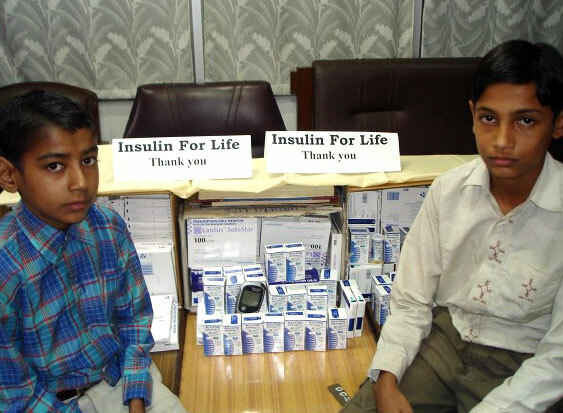 In India most people with T1D die at an early age and those that survive develop severe complications by middle age. 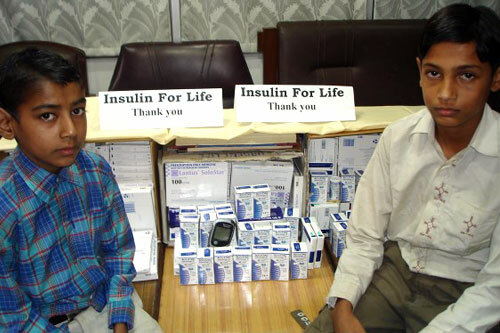 In India poor patients with T1D do not survive due to unaffordability of insulin and lack of medical care. Wealthy patients have poor prognosis due to unavailability of DSME provided by professional diabetes educator and physicians that have adequate training in diabetes care. It is a common practice in India to use two pre-mix fixed dose of insulin with a limited dietary menu - the treatment that is antiquated. “The world is facing a growing diabetes epidemic of potentially devastating proportions; its impact will be felt most severely in developing countries”.- WHO and International Diabetes Federation. 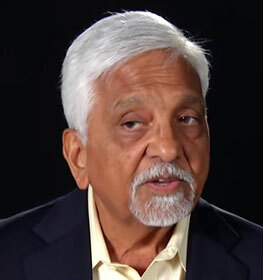 MD, FACC (USA), MRCP (UK) is a board-certified cardiologist, USA. Drs. 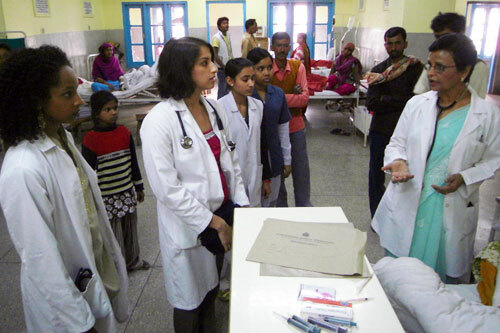 Gupta graduated in medicine from India and had subsequent training in UK and USA. In 1974, they joined and stayed on as faculty of Washington University School of Medicine in St. Louis USA. 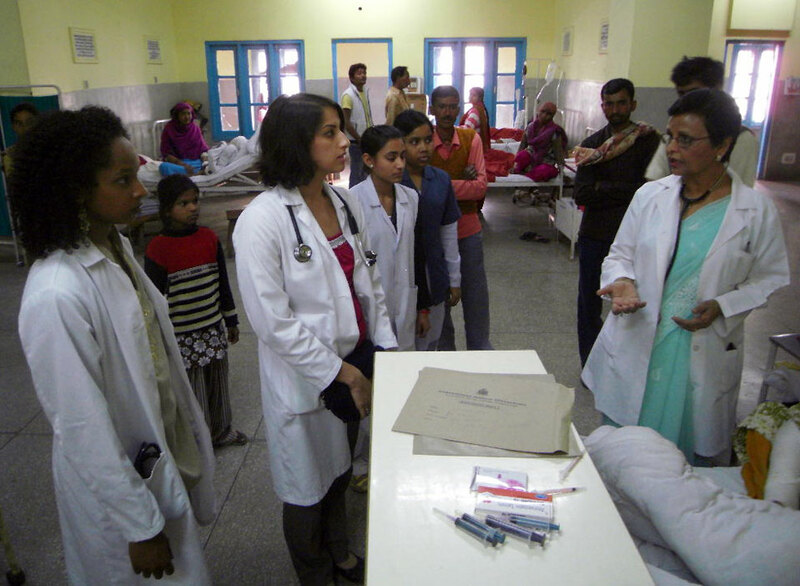 In 2006, we established our first diabetes care and education center at a large, charitable hospital located at the Rama Krishna Mission Hospital in Haridwar, India. Prior to our intervention,, no child with Type 1 Diabetes had ever survived more than a short time due to lack of proper diagnosis, resources and a complete absence of care and awareness. We assumed the daunting challenge of treating barely literate, marginalized children with multiple dose insulin injections (MDI), carbohydrate counting in their diets and self-monitoring of blood glucose (SMBG).We had to overcome multiple barriers, misconceptions, and a general aversion to the use of insulin. The focus of our program has been on outcomes such as desirable A1C and prevention of complications. In 2015, we have around 100 healthy children with normal growth and development; who follow our program with high levels of compliance. 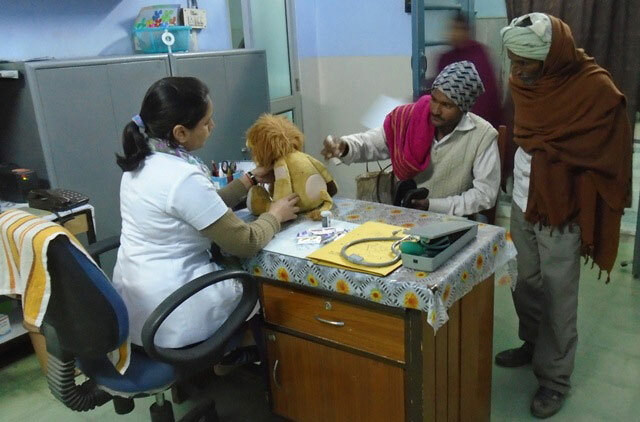 In 2017 Manav Seva Foundation handed over the diabetes program to Ramakrishna Mission Sevashram Haridwar. At the same time, the International Diabetes Federation closed their education wing and the recognition program. Without recognition certificate from IDF, enrolment in the program went down significantly, resulting in the closing of the CDEI program." Therefore program is inactive and we are not asking any donation. However, we have created programs, published article, written books and so on. We are recognized and invited to participate in conferences to discuss our model and achievements for people to follow although we are no longer active to continue ourselves. 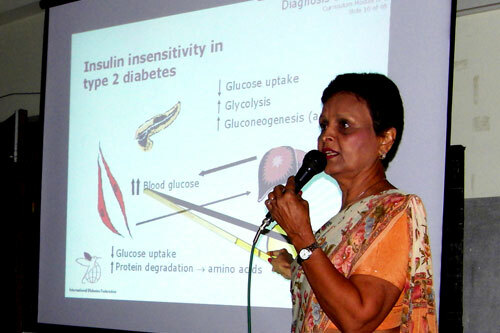 Dr. Santosh Gupta MD, has a long interest in diabetes education. She embedded herself with the local population in Northern India, studied their diet, social, cultural and economic aspects. She considered their education and learning style and paid special attention to the poorly literate marginalized population. She has written a book (second edition), “Living the Sweet Life with Diabetes”- The Art of balancing insulin, diet and exercise. 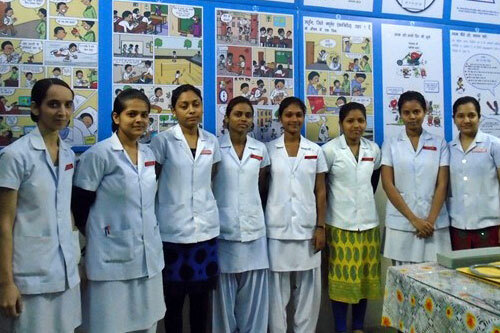 It is written in a simple language, in a question answer form with cartoons, is a practical guide on how to learn and teach DSME, particularly in an Indian context. It has a list of carbohydrate count of common Indian foods. Dr. Santosh Gupta is an invited speaker. 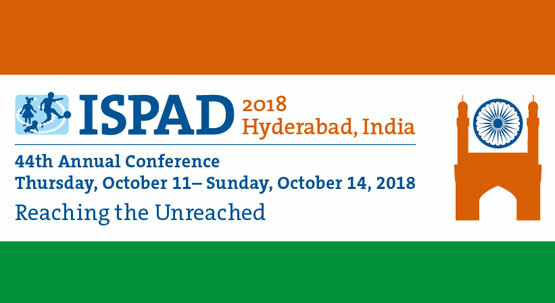 We are proudly informing all that Dr. Santosh Gupta will speak about her works in 44th International Society of Pediatric and Adolescent Endocrinology (ISPAD) held at Hyderabad. She is an invited speaker. 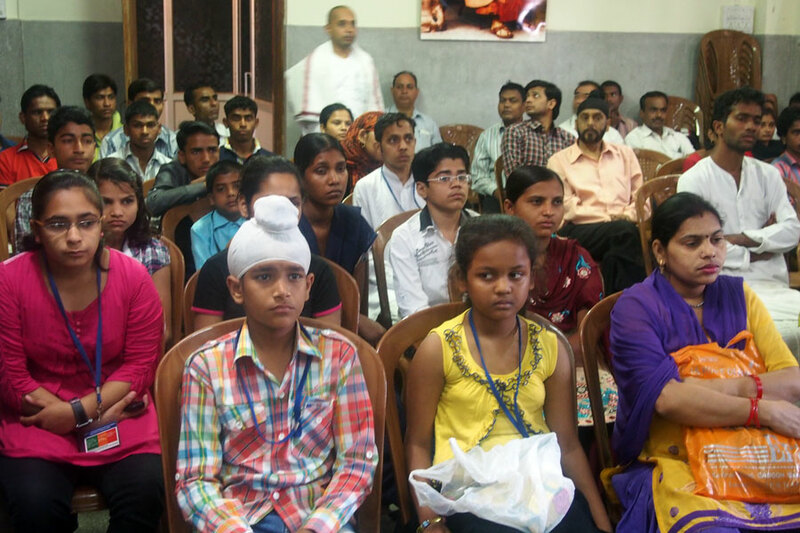 For ten years, starting in 2006, Dr. Santosh Gupta stayed for several months each year to run the program at Haridwar. 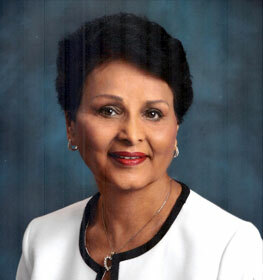 Starting 2010, she spent considerable time physically and on-line teaching and running the CDEI program in Vrindaban. Look upon every man, woman, and everyone as God. You cannot help anyone. 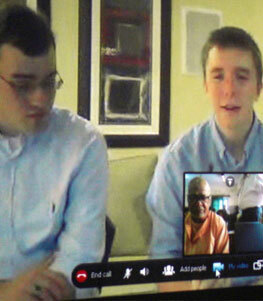 You can only serve; serve the children of Lord, serve the lord himself if you have the privilege. You may invent an image through which to worship God, but a better image already exists, the living man. You may build a temple in which to worship God and that may be good; but better one, much higher one already exists, the human body.